Chloe leads the way, and the door to the gymnasium is already open. We all enter, and it seems that almost everyone is already inside. I immediately smile, reassured to see the group again, but am quickly taken by surprise as Alice runs towards us as soon as we enter. Mina looks at everyone in pure and utter shock, and soon clenches her fists. She does not look as surprised as she looks angry, but she cuts herself off. She mutters some kind of sound, and walks towards a wall, seemingly to be alone. Oscar follows her anyway, and as I look at the others, I think that I had never seen so many people shrug at the exact same moment. They did not leave me time to say anything, but I truly did not want to bother writing something on whatever piece of paper I would not have with me anyway, and I may have ended up avoiding it too. No one really seems to mind what happened, and some people start talking, or maybe continue the conversations they were already having. I look around and see Isabella and Emily laughing about something, Andi worryingly looking at Keith from one side of the room while he ostentatiously looks away from the other, Chloe, with Alice, already close to her, both trying to tell her something, Oscar trying to cheer up Mina while she stares at a wall, her arms crossed, and of course Ciel and Akiro… already chatting it up. I was listening, but it feels like I lost track of my own thoughts for a split second. I feel kind of weird… What happened to me? I can’t help but smile while I listen to their conversation. It’s actually pretty fun, and it’s relieving to hear some of us get along no matter how stressful the situation is. I guess it’s the power of youth – or maybe they’re all just good people, and it’s easy for them to talk – I think as I glance at Keith, his foot still tainted by blood, looking angry more than lonely, against his wall. I can’t help but look at Andi again, and it seems she’s having fun now, chatting with Chloe and Alice. I finally turn around to look at the door, thinking that it’s funny that everyone should trust everyone to come in here, and suddenly Jan enters. He notices that I’m looking at him and walks towards me. I hear Ciel and Akiro’s conversation stop as soon as he approaches. He smiles in turn, not that he wasn’t already smiling. As always, he gives off this very calm aura, that doesn’t seem to disappear whatever he is expressing or feeling. I take a look at the others, and it seems that no one else has noticed Jan.
Akiro’s cheeks quickly become red again, and he looks slightly away. I can’t help but smile, as he really is very cute. I’m sure most of us here feel kind of awkward, but he’s the most shy out of all of us, and for some silly reason, I think that’s adorable. I wouldn’t want to sound patronizing though, since he in no other way seems childish, so I try not to show it too much. He doesn’t seem too mad for someone who’s forced to do something that he hates, and he starts to walk towards Alice – only to discover, at the same time we do, that she’s already walking towards him. Chloe and Andi follow her, and seeing as three people are moving, everyone else starts looking in our direction. Mina has gotten closer, and her expression and tone go to show that she’s calmed down now. The whole room goes silent. I dare not say a word. I know what they’re all thinking. And I refuse to believe it. Keith hadn’t moved from his spot, and he jumps a little at the sound of his name. Everyone turns around to look at him, and he looks at his own foot, before clenching his fists and starting to look really annoyed. I hear Andi’s voice, but rather than looking at her, I keep looking at Keith. He turns his head aggressively to look in her direction, and I wonder how much time there is left before he storms off again. I can’t help but turn my head around to look at her. Did she just… lie? She seems very calm about it, and she shrugs. I turn to Keith once again, who looks confused, and no one says anything for a few seconds, before he shrugs in turn. He’s doing his best to sound calm, but I can tell that he’s still kind of mad, and mostly confused. I’m pretty sure anyone could tell that he’s in a bad mood anyway, and no one would be surprised. If it weren’t for the company of Ciel, I would be too. And we all start sharing. Andi and Keith found blood, the most basic of medications, and that’s all. Emily and Isabella only found stuff we already knew about… So did Jan and Alice… So did Akiro and Chloe… So did Ciel and I. So did Oscar and Mina. She pauses for a second, visibly upset, but trying to stay calm. No one’s chatting with anyone anymore. It took us a few minutes to say what we saw, but we actually didn’t see anything in particular, other than that we’re trapped inside a painted dome. And that there’s no exit. And that still, for some strange reason, we could not find Benjamin and Lois. My shoulders feel heavy, and that must be the atmosphere in this room. No one, not even Emily or Alice, manages to force a smile and pretend anything’s fine. We’re all trapped within this school, and some weird bear wants us to kill each other. And gave us weapons. It gave us weapons. No one has the time to answer – quicker and more stealthily than our cute fashionista could have, Monokuma shows up and jumps in the middle of our group. Monokuma turns around, looking at each of us in turn, not looking happy at what he sees. He still ends up looking at Jan, and showing him with a movement of his mechanical paw. Jan is frowning, and he stares Monokuma dead in the eye. Monokuma lazily sits on the floor and crosses his arms. Akiro suddenly turns completely pale. Monokuma stood up hastily, long, sharp claws appearing on the end of his paws, aggressively advancing in his direction. 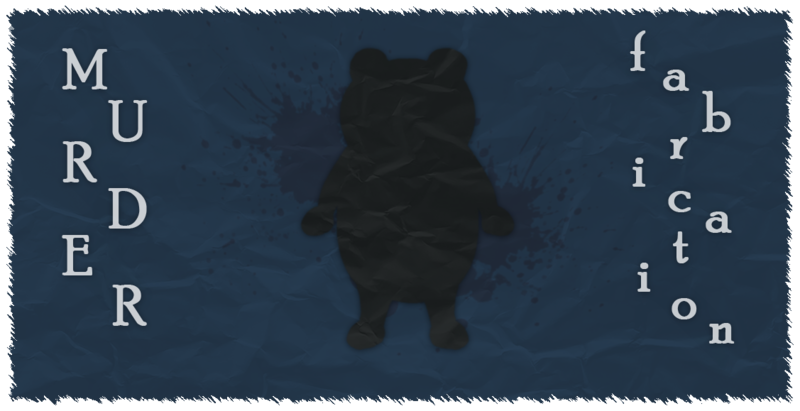 But Oscar gets in the middle of them two, and stands in a protecting manner in front of Akiro, completely hiding him from the black and white bear. I move a little to the side to look in Akiro’s direction, and he’s pale as ever, teeth clenched, wiping a tear as Chloe each holds him by the shoulder, hushing something, probably to reassure him. I stare at them for a few seconds. I’d probably be crying if a robo-bear suddenly tried to murder me with claws as long and sharp as Monokuma’s too, and I mean, actually crying. I’m sure of that – as I already want to cry and nothing has happened to me yet. Yet, I say – and everything becomes kind of blurry. I’m pretty sure Monokuma stays in the middle for a few more minutes, I hear conversations that I can’t quite make out, and then he’s just gone and I don’t know when he went away. And people are moving away, and I can’t really hear even my own thoughts. I don’t believe a word of what I’m saying. I feel like I’m out of breath from just saying all of this. I don’t even know what Ciel answers. I don’t even care. I just follow them, picking up some strands of conversations as I walk past the others. Everything seems so slow. Soon we’re outside, but it doesn’t feel like outside anymore. And soon we’re in the dorms, and part of me thinks I should look around at least by curiosity since I’ve never been here before, but I’m just starring at the floor. The floor is all there is. And I advance slowly, following Ciel, who I think is not talking. I look up and blink a few times, because everything is all blurry again. I’m sure I’m doing a great job at looking unbothered. I don’t feel anything anyway. But searching for my room seems so tough, there are so many… All around me… My eyes stop on a group of people. Because I need to concentrate on something to wake up, if I want my brain to actually function. It’s Akiro, Keith, Isabella and Emily. They’re all… They’re all very cute. I think they turn around to look at Ciel and I. Are we alone in here? Maybe we are. I think I managed a smile, because my headache got even worse. They trust me, don’t they… It’s great… Do I trust them? Do I trust Ciel? Do I trust Akiro? I don’t know anything anymore. But I want to lock my own door and never answer to anyone anymore. I look around very quickly. Yes. I just did. I nod. I look at them right in the eyes and smile. Ciel walks away, I hear a huge sound as Keith violently slams his door. 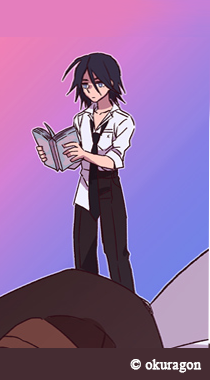 He seemed fine… He seemed calm… Ha… So do I… I walk towards my room, hastily take my handbook out of my pocket and put it in front of the reader, and then I get in, and then I slam the door. And without even looking at the room, I fall over pathetically, the same way Monokuma dramatically does sometimes, on what seems to be a bed. I’m not crazily hungry… I’m just a little hungry. I keep waking up, then falling back asleep, then waking up again, not knowing how much time has passed. Not that I’m thinking much. I don’t know what I’m hoping for, or what I’m trying to do, I’d say maybe I’m hoping time will pass without me and things will work out by themselves. I could stay here for days and days, on this random bed that’s not mine, that’s never been mine, and I ever so rarely wonder if I’ll survive not drinking or eating for so long. Though it may only have been a day, or even less. As much as it may have been four. I have no idea. Sometimes it’s that I’m too tired. Sometimes it’s that I’m too scared. Nothing about this makes any sense… I’ve never felt quite like this before. I think I heard knocking on my door multiple times, I couldn’t hear people talking though, and then it stopped. Every time, before I could even understand what was happening. I barely even remember the situation I’m in. It’s bad, right? I don’t want to think about it. I can’t think about it. Wherever I am right now, I’m safe from whatever was endangering me. My upper body darted up and I answered in a startled tone, like I was suddenly pulled up by force. I blink a few times and try to look around, feeling tired, feeling weird, feeling terribly lost. I’m inside a room I’ve never seen before. Memories fall back into place slowly, and piece by piece, I remember that I’m in my assigned room, inside of the dorms, trapped inside a dome called Hope’s Peak Academy. A shiver crawls down my spine as I force my stiff body to turn around and look in the direction of the voice I heard earlier. And all of a sudden, I can remember people. Keith, who violently shut the door before I did. Ciel, who was probably expecting me to come back soon. Akiro, Isabella, Emily… It all comes back to me, and all of a sudden, I wonder how all these people are doing. He shows me the satchel hanging on the right side of his body and opens it to show me its content, which are indeed multiple small bottles of water, some bread and a few snacks. I sound like an old man who’s about to die. He hands me a bottle, and I drink like I want to drown myself. The moment water gets in contact with my mouth, I realize how ridiculously thirsty I was. And before I started drinking, I really couldn’t tell..! I down the whole bottle and sloppily put it on my bed, before I scratch my head and stretch my back. I still feel really tired, but I already feel a little bit more alive. I look at Benjamin for a second. He seems particularly calm, like nothing particular has happened. I struggle to speak, as I’m breathing heavily for some reason. I’m somewhat light headed, but I feel like I’m becoming “me” back again. He looks around, seeming vaguely bothered. I blink a few times. This was awful. He starts inhaling as if he were going to pull the same pose and voice again, but he stops himself and continues in his usual uninterested tone. The sounds in my brain go something like “ijiorejthijtrojhijortohjoritmqgok”. Suddenly hyped up, I gasp and stiffen up. I hadn’t noticed my eyes were not completely open before. The faces of all the people I’ve met in here come back to me, and imagining they could be feeling as bad as I was or hurting themselves in any shape or form makes me feel awful. Everyone here is so nice, no one deserves to suffer… It’s all this school’s… No, Monokuma’s fault, you can’t forget about this horrible bear! I don’t really know what to think. I must not be able to hide that I’m doubting him, because he insists. I don’t comment on it. I’m still struggling to keep my thoughts in order, a good shower and some food do sound like a good idea. “As long as you don’t peep”, I almost said, but upon further inspection, that’s not funny. I turn around, searching for the bathroom.